When Jesus came the first time, he came to reveal God (John 1:18). As wonderful, powerful, and gracious as he was in his earthly ministry, he did not fully reveal all who he is. Our hope is tied to his return. When he comes this time, he won't come to reveal God, but to reveal himself — the conquering Lord, the Rider on the white horse. Every knee will bow. We will get to see him as he really and fully is — Immanuel in power and grace, triumphant in every way. 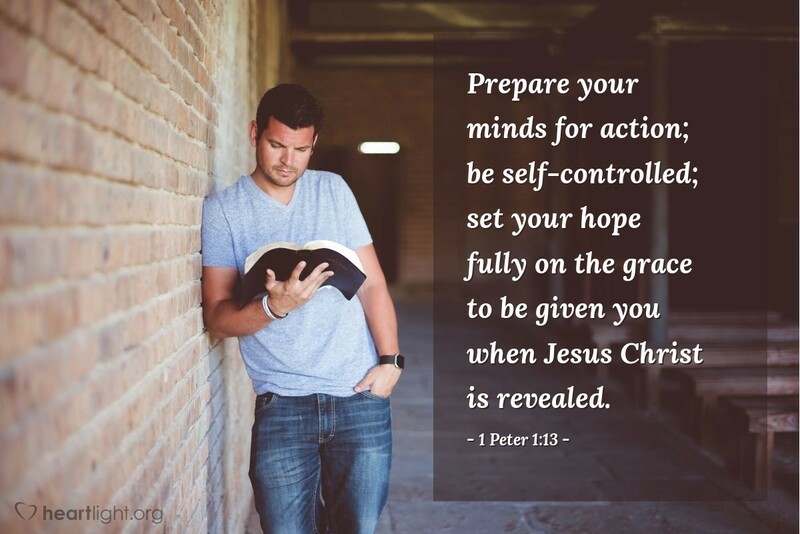 When we set our hope on Jesus' grace when he returns, we can be confidently ready for active service to our king today. We can live under his leadership with obedience and praise today.